Brash's win, ahead of Daniel Deusser (GER) and Alberto Zorzi (ITA), secures his ticket to the new GC Prague Play Offs, which will be held this December in the Czech capital City. Each LGCT event Grand Prix winner will qualify for a place in the Longines Global Champions Super Grand Prix. The British star said: ”I’m delighted to be in the new [Longines Global Champions] Super Grand Prix, it’s a fantastic competition for us riders to have and to aim for and I think it’s going to be really exciting in Prague, a totally new concept and the first time they go indoors. It’s really exciting this year, it’s opened up a whole new level and I’m really excited to be a part of it in Prague.” Brash revealed this could be Ursula’s last season but said she was feeling “so great” there will be more major shows to come. 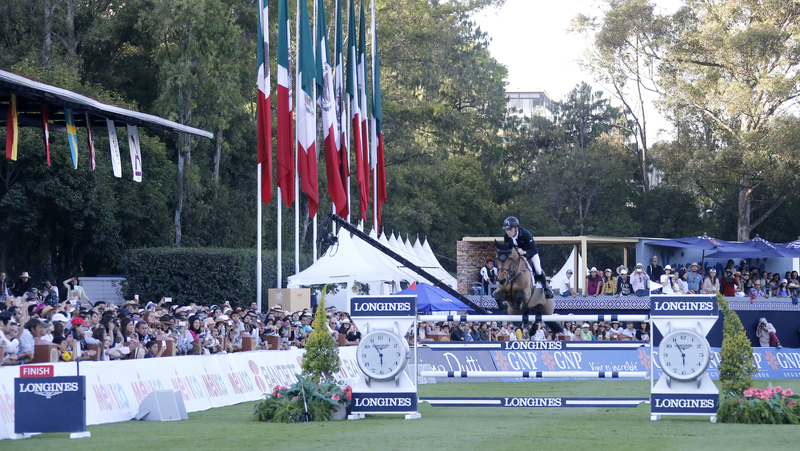 Fourth in was the ice cool Scott Brash (GBR), who powered round the expansive grass arena on Ursula XII. A big push down the final line on the big-striding mare and a flier over the last sent them rocketing into the lead in 38.65s - almost two seconds ahead of the rest of the field.